Located near Nara and Osaka, deep within Nachi mountain of Wakayama prefecture lays a majestic waterfall. 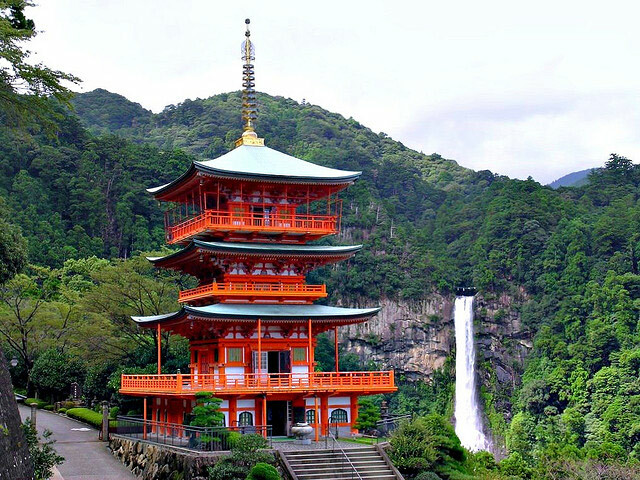 This waterfall has been a pilgrimage site for Shinto believers since the Heian period (about 800 to 1200 A.D.) It is no wonder that this place is considered sacred ground with the Shinto belief. Believing that there is a kami living in everything, the large waterfall, thick forests, and surroundings give this place an awe inspiring mystical aura. The kami that resides in the Nachi falls is named Hiryū Gongen and is part of thirteen deities that is believed to live in the Kumano area. Translated as the “Flying Waterfall Avatar”, Hiryū Gongen is a deity that amalgamates Buddhist and Shinto beliefs. With thirteen deities that live in this area, it is no wonder that the Nachi Falls natively named Nachi-no-Otaki is a UNESCO World Heritage Site in 2004, under the “Sacred Sites and Pilgrimage Routes in the Kii Mountain Range” label. It was picked due to its demonstrated importance with artifacts such as the Kumano mandala and Nachi Sankei mandala and the large scale remains of sutra mounds called Nachi Kyozuka. 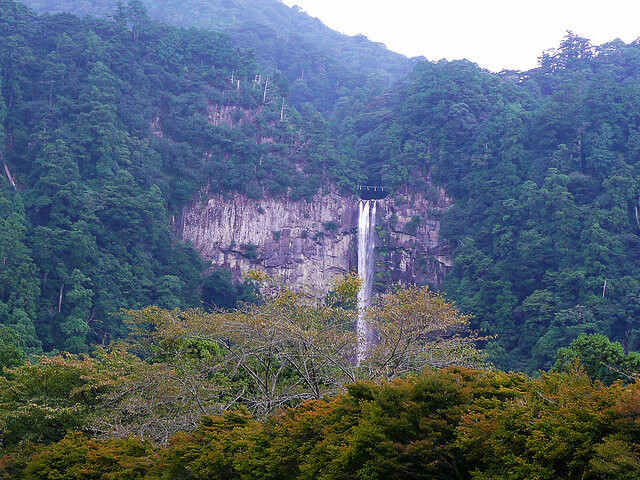 Measuring at 133 meters high and 13 meters wide, this waterfall boasts to be the tallest waterfall in Japan. Although the Hannoki and Shomyo waterfalls in Toyama are said to be taller, Hannoki is seasonal and Shomyo is taller only when combining the different stages. 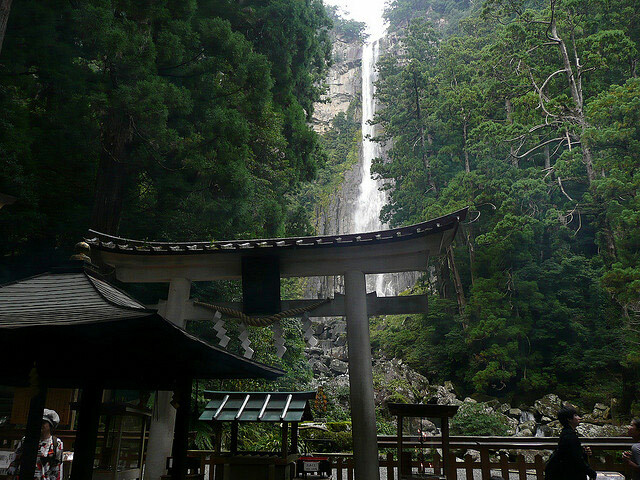 Be sure to visit the neighboring shrine, Kumano Nachi Taisha, when you visit Nachi Falls. This is one of only three Kumano shrines in all of Japan. What’s special about Kumano is that it is a large complex of religious sites that exemplify the fusion of both Buddhist and Shinto influence. This is something unique to the Kumano region that you won’t find elsewhere. While there you’ll get a chance to marvel at the impressive Seigantoji. It is an iconic photo opportunity to capture the grand waterfall along with the temple’s vermillion-colored three story pagoda.